The program "Bridge It!" is similar to the DD Academy regarding its goals; it is done on international level. Young people who would like to solve some (social) problem in their home town, are encouraged and enabled during half a year at seminars and with the help of mentors to bring their plan to life. The program is meant for young people from the Baltic Sea region. The program is organised jointly by organisations from Latvia (Оrbīta), from Estonia (Domus Dorpatensis), from Russia (Немецко-Русский обмен) and from Germany (Theodor Heuss Kolleg). Together we develop the quality of citizenship education programs. Especially we pay attention to an evidence-based approach and the evaluation of the programs' influence. In order to raise the quality of the programs, we mainly focus on exchanging experiences between the programs and the involvement of external experts. The Baltic-German cultural and educational organisation Deutschbaltische Studienstiftung brings young people from the Baltic states, Germany and Russia to its seminars. The seminars focus on current topics which are at the same time connected to questions of the Baltic-German heritage. The seminars take place in turn in Estonia, Latvia and Germany. The Estonian partner in this program is Domus Dorpatensis. With the help of volunteers who have an interest in German language and culture, Domus Dorpatensis organises one of these seminars a year. 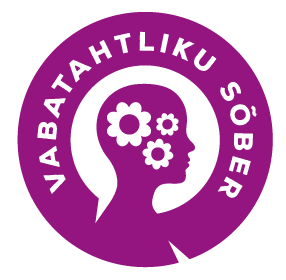 The foundation Terve Eesti (TESA, Healthy Estonia) together with four Estonian bigger youth organisations (among them our DD Academy) and the family training society Sina-Mina organises an anti-alcohol campaign in order to reduce risk behaviour, to improve national health and to promote healthy life styles. The aim of the project is to involve new volunteers with different background into the activities of Domus Dorpatensis in order to improve our ability of action and positive social influence. The aim of the the project „Improvment of the communication skill of Domus Dorpatensis" is to ensure more structured communication activities in the foundation. International democracy project: "Youth democracy - learning and doing! Volume II"
During the project, the participatory democracy of young people is developed. The project is in cooperation of three European cities: Tartu, Stuttgart, Istanbul. In cooperation of Domus Dorpatensis, EMSL and ENTRUM a Coalition for Citizenship Education is created. Its activities are defining, mapping and developing civic education.